Concrete is becoming an increasingly popular material to use both inside and outside one’s home. Aside from the refined, stunning finish concrete offers, it is also a highly durable material, making it extremely cost-effective. In this week’s blog, we discuss seven different ways you can enhance your home by using concrete. Although this may not be your initial instinct for flooring your home, polished concrete floors offer a sophisticated look like no other. However, this style can come at a cost. For a more budget friendly option that is also low-maintenance, try concrete-look tiles. A concrete pendant light is a stunning choice sure to enhance the sophistication of any home. 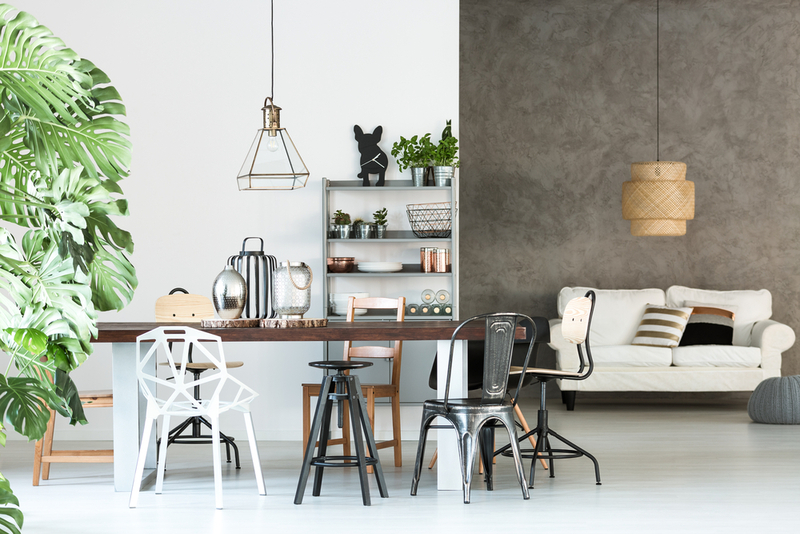 Available in a wide range of colours, sizes and styles, concrete pendant lights are great to amplify a communal space, such as the living or dining room. For a bold, statement look, try a concrete sink in either your kitchen or bathroom. The concrete can be polished for a more refined style or porous for a raw, industrial aesthetic. Another way you can introduce concrete into your home is with concrete benchtops. These are a popular choice for both the kitchen and bathroom. Concrete benchtops are widely selected due to their strength and timeless finish. Concrete is a highly versatile material which can be used for a number of different furniture pieces. The hard part is choosing which furniture piece and area would best suit concrete. Options include table tops, stools, bench seats and side tables. Concrete is a striking, attention-grabbing material. However, if you’re more after a subtle, minimalist look, then incorporate concrete with decorative accents, such as door knobs, wall handles, pot plants and candles. Concrete can feature in any home without being dominating. The last way to use concrete in your home is with a concrete driveway. Concrete is an excellent choice for your driveway as it is sturdy and stylish. There are also lots of different finishes available, including coloured concrete and textured concrete. At A Better Driveway, we specialise in providing decorative concrete solutions for driveways in Melbourne. To speak to one of our friendly staff members today, call us at (03) 9308 6112.